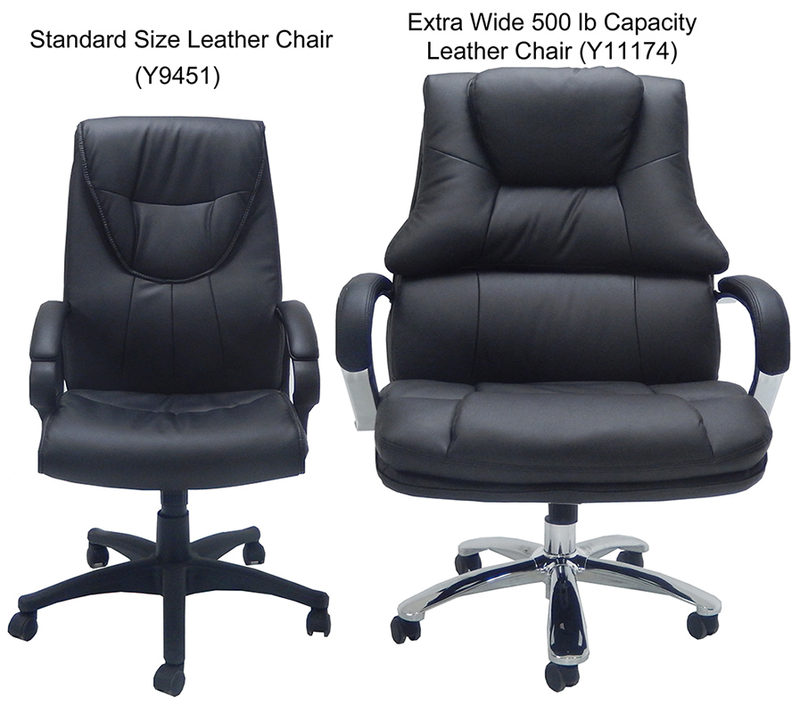 Oversized extra wide office seating for the largest users, or, those in need of extra width for a utility belt or holster. 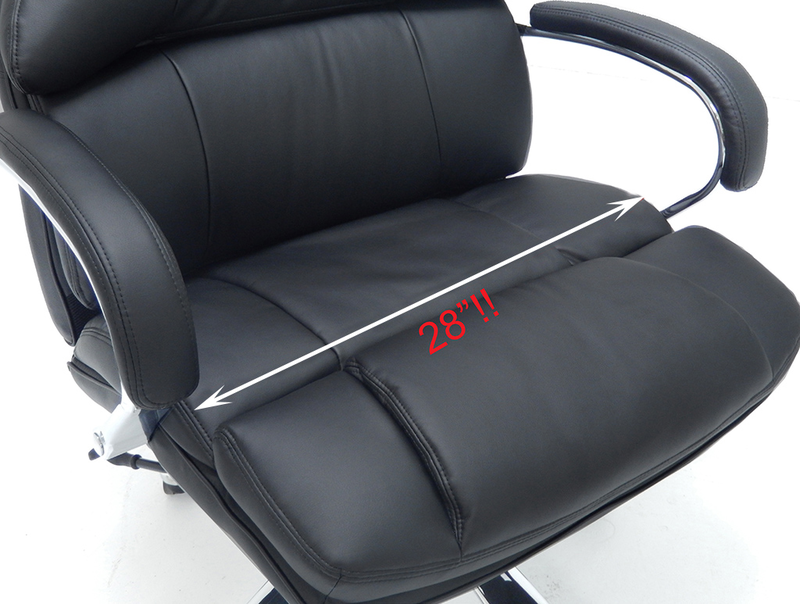 Provides a full 28" of seat width between armrests! 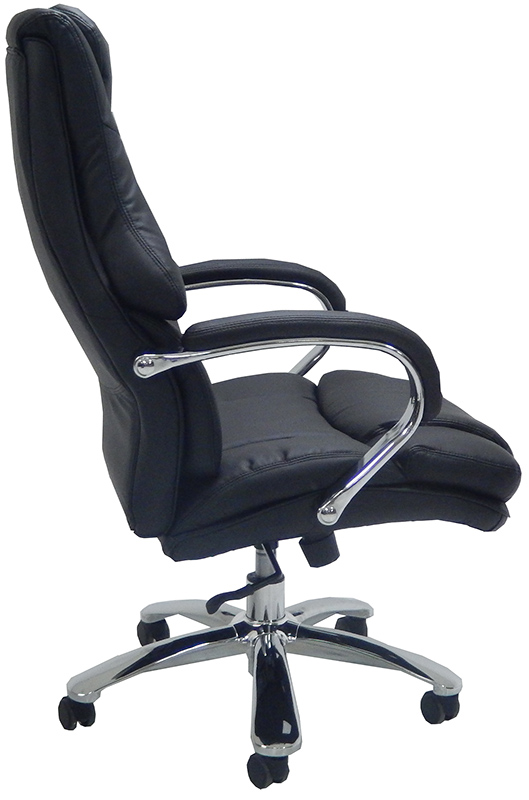 Quality heavyweight, oversized seating built to support up to 500 lb. users in comfort. 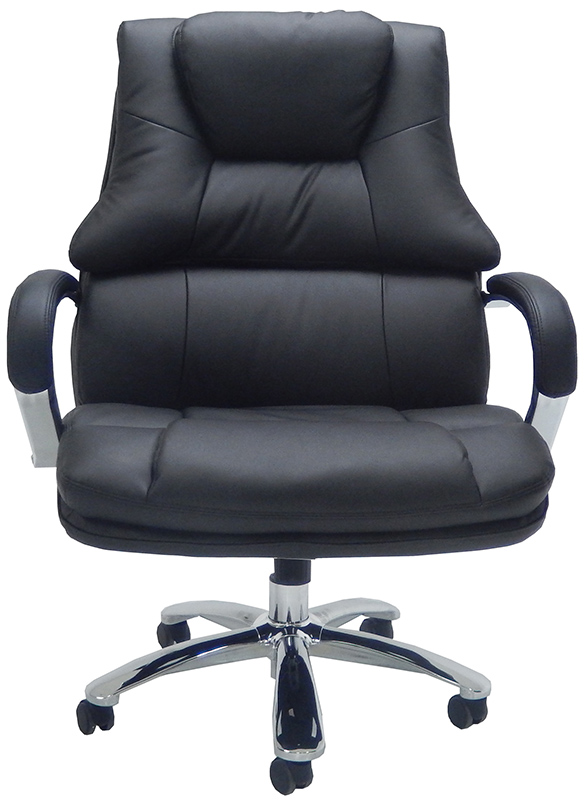 Executive styling, ergonomic contoured design and the ultimate heavyweight components make this chair the best value to be found in Big and Tall Oversized office seating. IN STOCK! 4" of dense, layered foam cover both the seat and back allowing you to relax and focus on the task at hand. Tufted cushioning not only adds to the comfort level, but also extends cushion life. 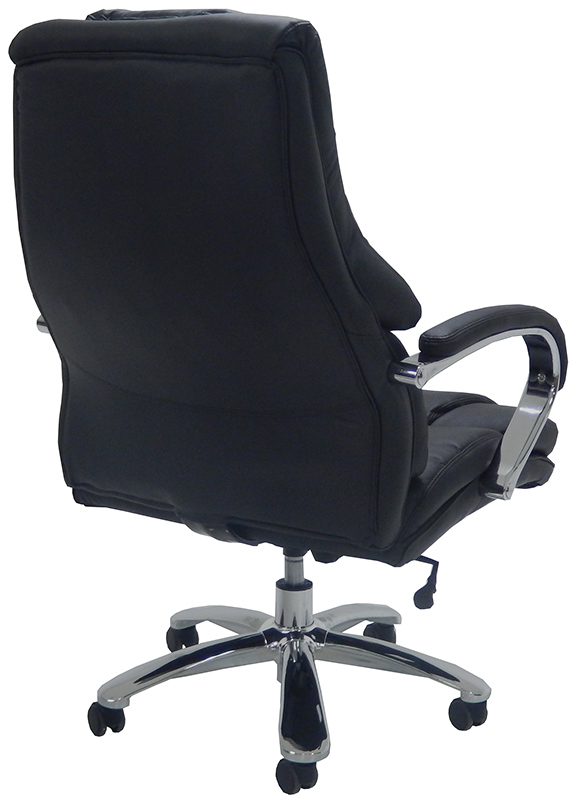 Compartment stitching of headrest and side bolsters cradles the back and enhances chair appearance. 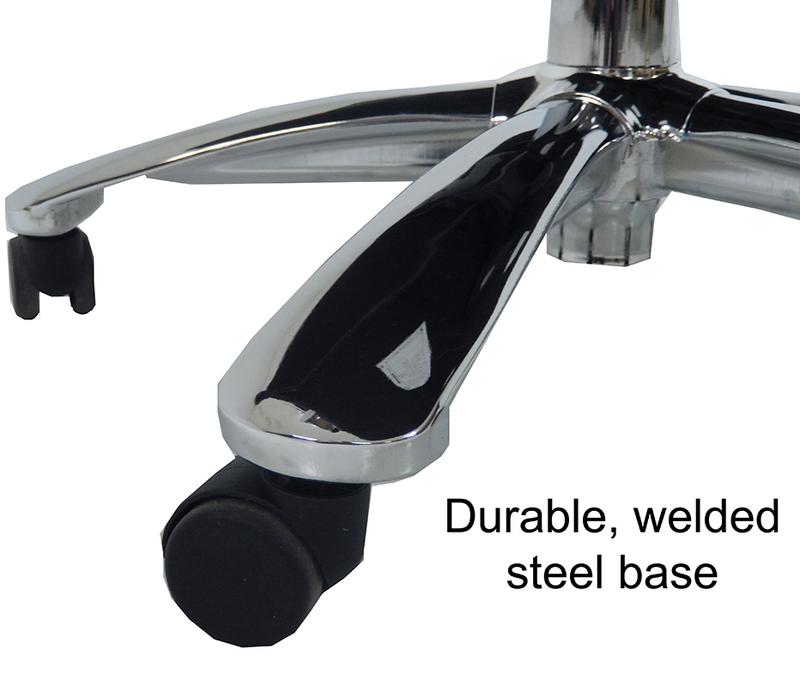 Backrest frame has optimal lower lumbar curvature to keep you seated in comfort all day long. Upholstered in soft and supple maintenance free bonded leather. 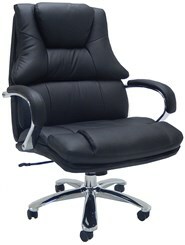 * Spacious 28" wide seat between arms for the larger person or use with a utility belt or holster. 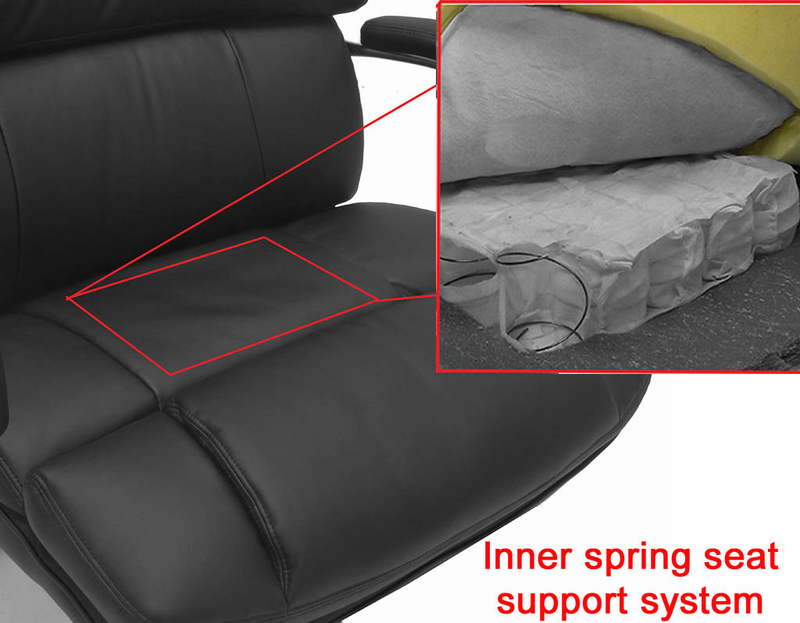 * Inner spring seat support system prevents cushion flattening from even the heaviest of users! Generously proportioned seat measures 28"W (between arms) x 22"D x 19"-23"H. Back is 27"W x 30"H. Measures 33-1/2"W x 33"D x 46"-50"H overall. Ships unassembled. Shipping weight 81 lbs. All components exceed ANSI/BIFMA commercial use requirements. Meets CA fire foam approval. 5-Year Limited Warranty. PRICE INCLUDES SHIPPING!